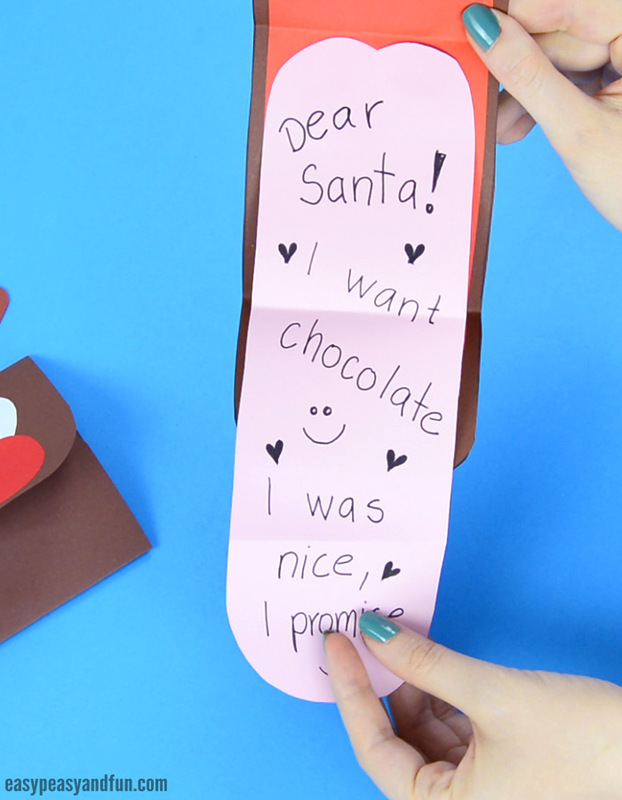 Want a Christmas card or a letter to Santa that’s a little bit different and borderline silly? 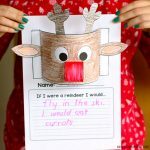 Make a Reindeer Sticking out His Tongue Christmas Card, super cool one and is guaranteed to make your kids want to write letters. 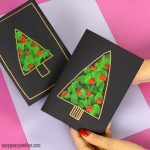 You can make this one with our printable template or just freehand it, it’s easy peasy after all. Nothing beats a handmade Christmas card, and if it has a bit of silly to it that’s even better. 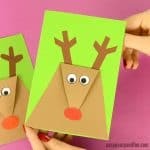 These fun “stick your tongue out” reindeer cards will have your kids or students aching to start writing their letter. 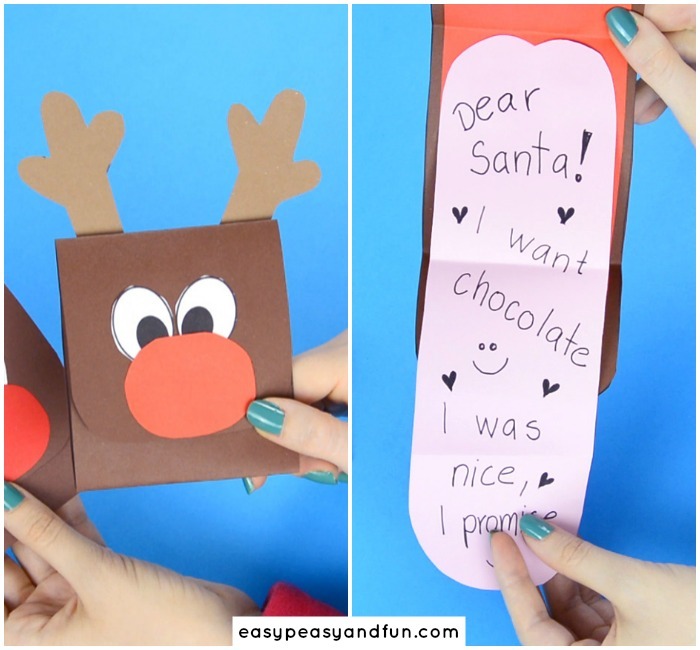 First assemble them and then write your seasonal greetings or wishlist to Santa on the tongue. 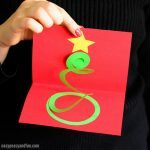 The tongue is nicely folded inside the card and once you open it up, you can pull it out too see the whole message. Fun right? 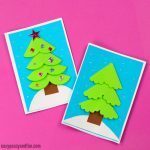 You can help yourself with the printable template at the end of this tutorial. 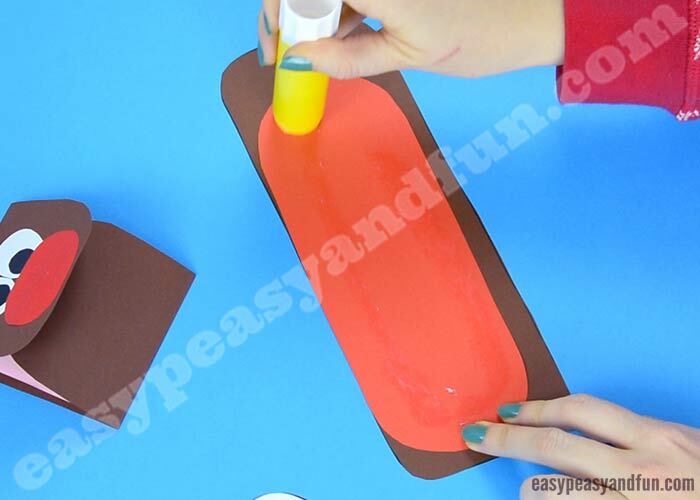 You can either color in the template or use it as a stencil to trace on construction paper / regular paper. 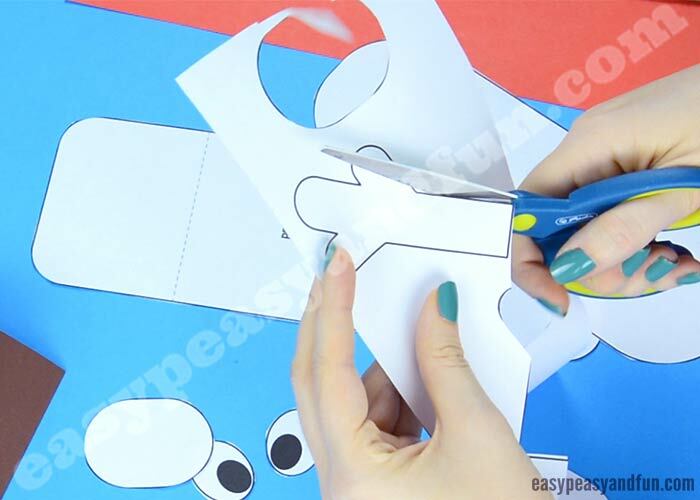 Print the template on paper. Cut out all of the template parts. 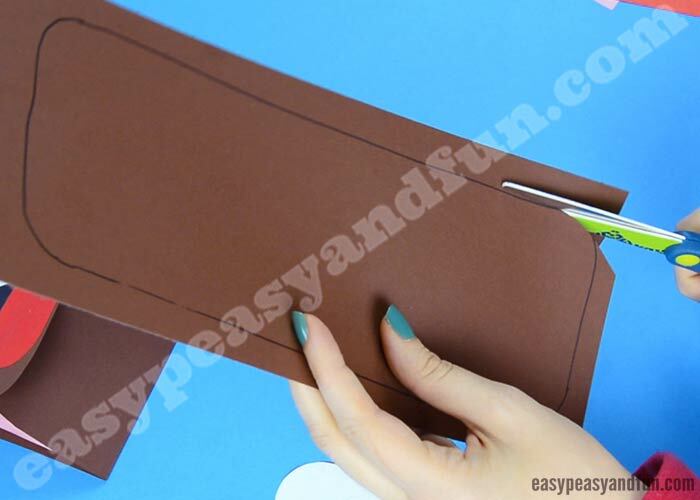 Trace the head part onto brown construction paper. 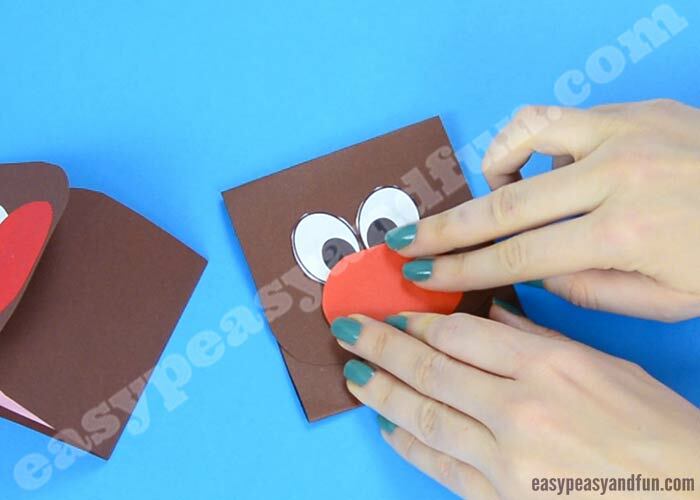 Trace the mouth onto red paper. 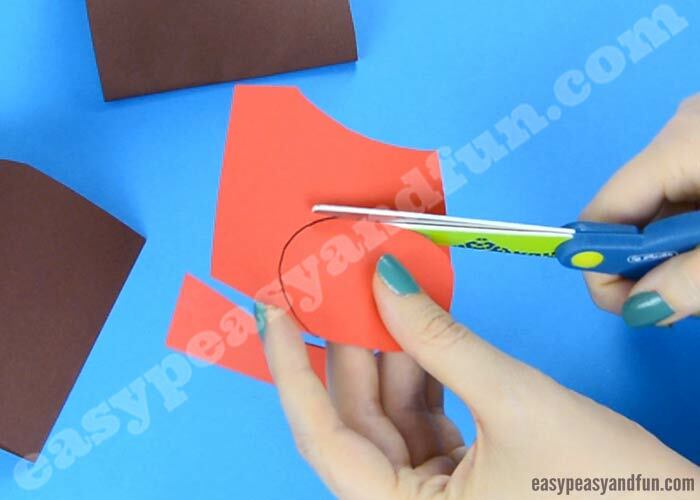 Cut out this shape too. Glue the mouth shape on the head shape. 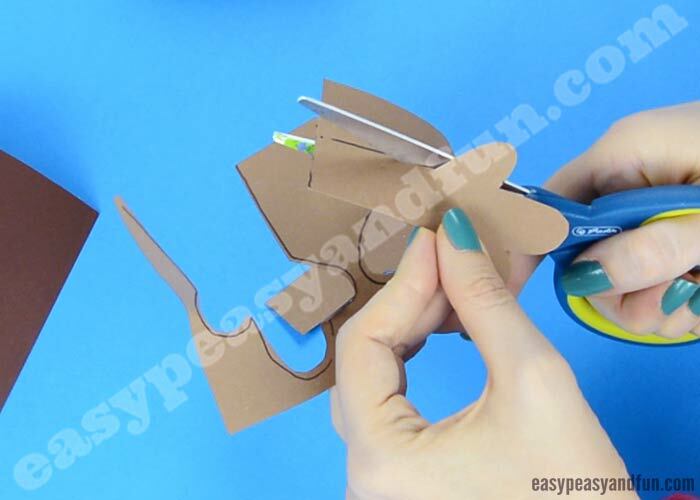 Fold into 3 parts, you can help yourself with the folds that are marked on the head template. Trace the nose on the red paper. 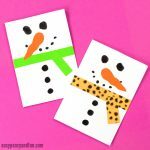 You can use the eyes as they are, or you can trace them on white paper and draw the details (or use black construction paper). Glue the eye on the head. 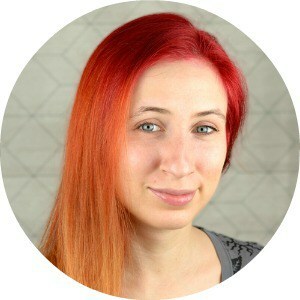 Glue the nose on the head too, it can overlap the eyes a little. 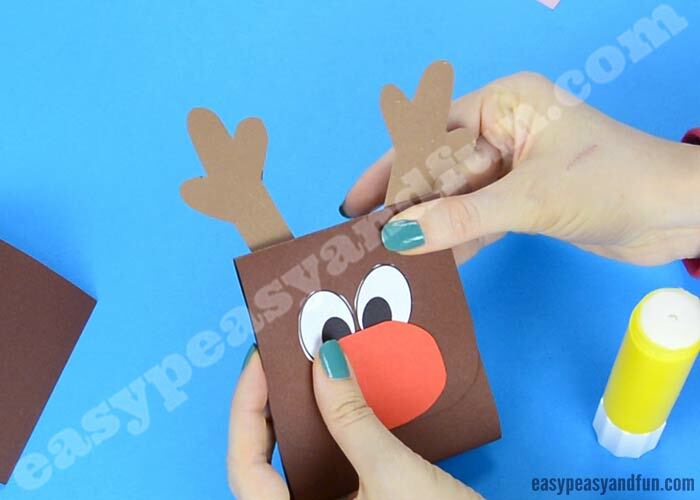 Trace the antlers on brown construction paper (ideally a darker or brighter shade than the head). And glue them onto the head. Trace the tongue shape on pink paper (it can be red too). Start folding the tongue to fit into the middle thrid.. Stick out the tongue and write your message. 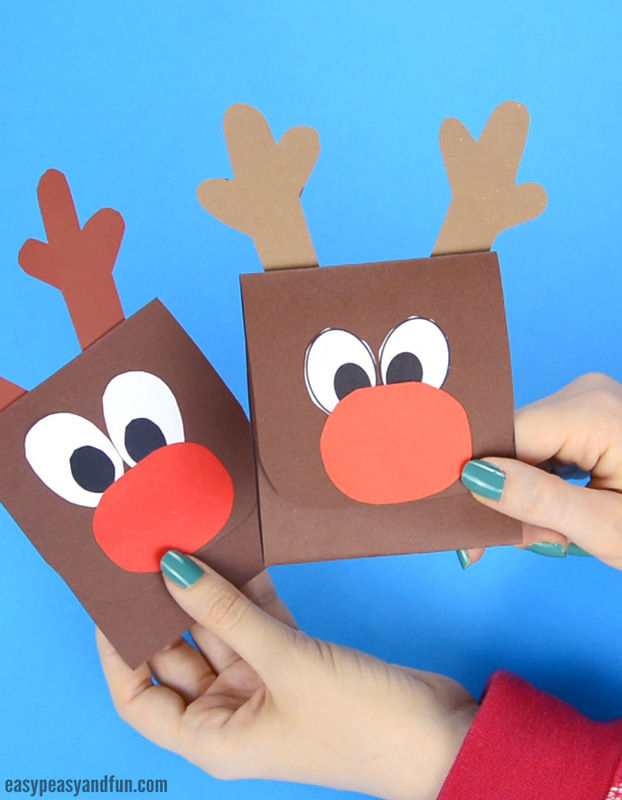 Fold it back in and your Reindeer Sticking out His Tongue Christmas Card is ready to be given to a family member, friend or sent to Santa.